I am extremely proud to share this event with you, mostly because it was born from my own idea and it was an amazing success. 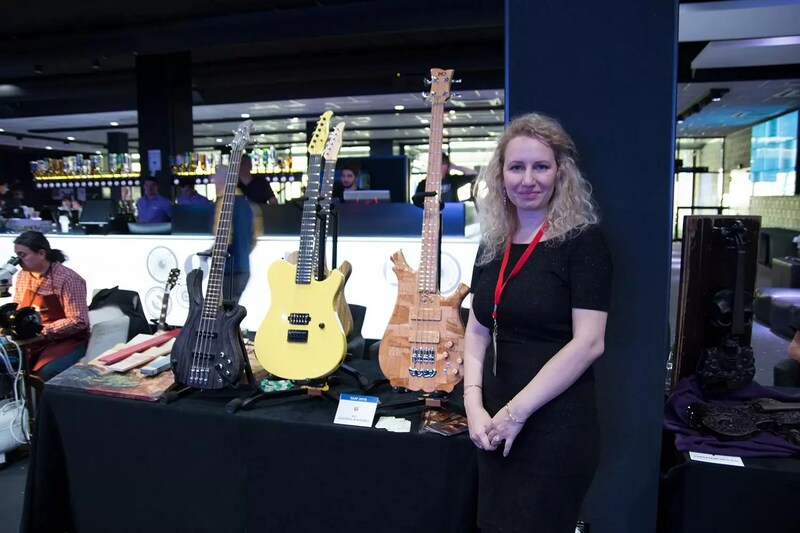 On the 29th of September at the Joy Station Club in Sofia, the first exhibition of its kind in Bulgaria – The Bulgarian Musical Workshop welcomed its first guests and introduced both professionals and enthusiasts alike to the most talented Luthiers of electronic and musical instruments and parts, music studio representatives, music video producers, etc. The Bulgarian Musical Workshop is the realisation of a project I have been working on for a long time and it is as much of a dream come true as it is the meeting of the demand in an area where we have so many excellent professionals. I have taken part in countless exhibitions with similar formats abroad and I have always wanted to participate in something similar in my own country. I had such a strong desire to acquaint the Bulgarian audience with the achievements of our own Bulgarian masters and creators of musical instruments and accessories. That’s how everything got started and on my journey I met many like-minded people who helped make this project possible. That is why I am grateful.